Play Dominoes online for free now! The origins of the game Dominoes are shrouded in mystery. Legend has it that the great explorer and merchant Marco Polo brought the game from China to Europe. It is said that monks in medieval monasteries were already laying tiles and inadvertently created the name of this game by shouting “benedicamus domino” when they won. But nobody knows for sure. However, what is known is that Dominoes has been fascinating players for centuries! And now there are browser games for the computer, multiplayer versions on the web and plenty of apps for playing Dominoes with a friend or in a team - often free of charge! 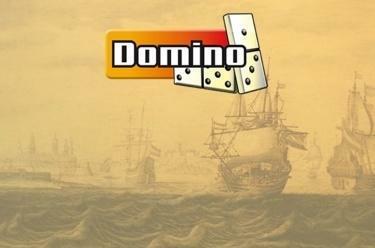 Here you can find out more about our version of Dominoes online and get to know the most important rules so that you can play and win with this ultimate classic! Dominoes is played with 28 tiles that can cause your head to spin. You must decide how to line them up so that you can get rid of them as quickly as possible. Too bad if your opponents are better at this than you. The aim of the game is to be the first player to add their tiles to the chain and collect as many points as possible. This is what our version of Dominoes online can do! Dominoes is one of our most popular games, and it has a huge fan community. One reason for this is that you can also compete with friends in our multiplayer mode and feel like part of a huge Dominoes team! Two to four players can join a table. You decide: Do you want to set up a table where any player can take a seat and join in? Or do you just want to play with selected friends? You can also choose how many points a game is played up to. Between 20 and 100 points are possible. Alternatively, you can take a seat at a different table and compete online with players from all over Europe! The rules for Dominoes are easy to understand. That’s why this game is so popular and on par with Chess, Backgammon, Solitaire and Mahjong – games that are familiar to everyone! However, we have a few tips to help you move your game to the next level. Play your matching tiles and high-value tiles early on. That way you prevent your opponent from scoring lots of points even if you might lose them. Like in any board or tile game, try to memorise tiles that your opponent wasn’t able to play. Knowing which numbers he or she is missing might help you later block him or her. Generally speaking, it is advisable to focus on your opponent’s game to try to assess him/her. Keep a range of different numbers for as long as possible. That way you avoid situations where you don’t know which tile to play. Start your Dominoes adventure on GameTwist now! We’ll keep our fingers crossed for you and hope you enjoy this online game! Similar games, like Mahjong and Poker, are also well worth a try 😉.